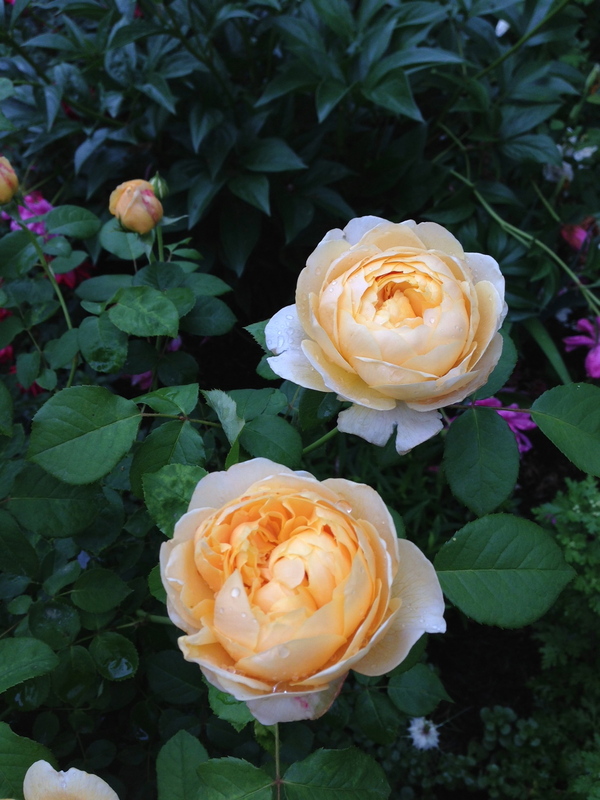 Charlotte is a David Austin roses and the pictures tell it all. Every year she just gets better and better. Strong growth. Sweet fragrance. Good to repeat bloom! That’s a lot of roses. I rarely see yellow roses. I LOVE Charlotte. Hard to grow? Where to find? These look like the roses in my grandparent’s garden. I just love them, and could stick my nose in them forever! Your photography is so lovely. lovely roses, I love them too. We have about 35 different kinds, also very few David Austin-roses. 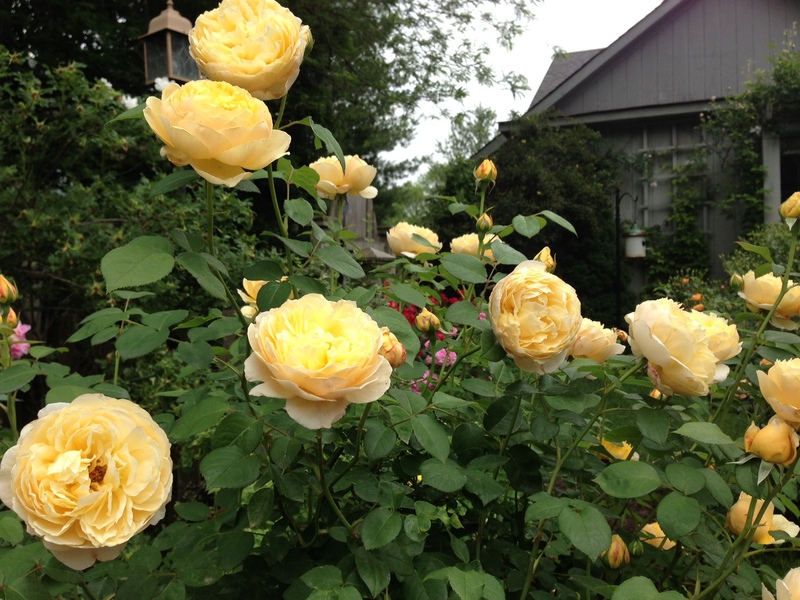 If you look into my blog in the following weeks I will post my roses in bloom. 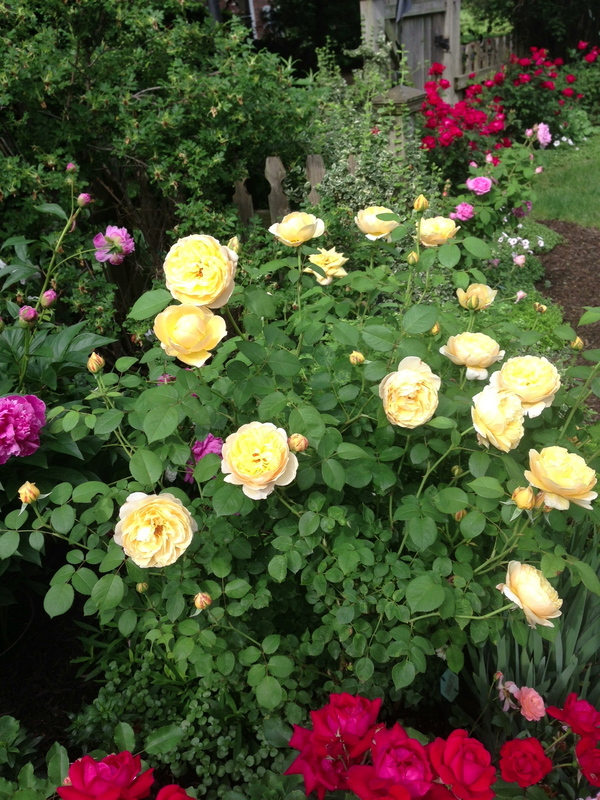 beautiful these austins roses never do well in my climate, tried a few only to be disspointed. yours look wonderful however. I keep my eye on them for black spot and they have a slow start, but by the third year they pick up speed! Nice to see your blooms from last June! I had ‘Charlotte’ in my Minnesota garden for a year or two but the winter took it even with heroic winter protection. Must be a very tender rose. I think I have had her about 6 years and so far, so good! She is lovely, especially the first flush!